What Have We Been Reading in the Library? Classes visit the library once a week. Kindergarten students check out one book which is due the following week. Grades one through five check out two books and have the books for a two week period. It is strongly recommended that one of the two books is a ‘reading’ book, either a ‘red dot,’ (emerging reader), ‘blue dot,’ (transitional reader) or regular fiction chapter book, as appropriate for their individual reading level. Books may be renewed once, but the book must be brought to the library in order to be renewed. As students return their books they may check out new books. If students have returned their books they are welcome to stop by the library anytime during the week to select new books. An overdue list is generated weekly and sent out to the classes. A student whose book is overdue for over four weeks will receive a notice home, along with a bill for the book in the event that it has been lost or damaged. Did you know you could see what books we have in the library from your home computer or mobile devise? Go to https://silveira.goalexandria.com and click on researcher. 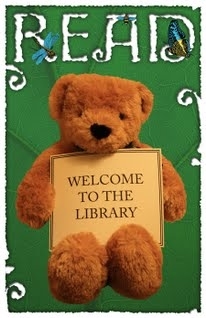 The library is also open at first (morning) recess on Monday and Wednesday for students who need a quiet place to read. When Do We Visit the Library? When Is The Book Fair This Year? Monday October 22nd through Friday October 26th in the MPR! Stellar Readers is a 1st through 5th library reading incentive program that begins early September, ends toward the end of March and culminates in a special Stellar Reader lunch celebration in the spring for all students who complete their reading logs. First and Second graders read 24 books that they check out from our library and enter on their reader logs upon completion the book. Third graders read three chapter books of different genres to form a bingo on their reader log and 4th and 5th do the same reading five chapter books to complete their bingo. First and second grade book logs go home with students, 3rd, 4th and 5th Bingo forms are kept in binders in the library. Click on the sidebar for the link to the Question of the Week. If you know the answer to this week’s Brainteaser write the answer on a piece of paper along with your name and classroom and put it in the Question box in the library. The first two randomly selected correct answers will be read by Mr. Anderson during Monday morning announcements each week. The Golden Owl is awarded to the class that has made the best effort to be safe, responsible, respectful and enthusiastic during their time in the library each week. The class that earns the Golden Owl the most times over the school year receives a special treat in June. We are in absolute awe of Mrs. MacMillan in the Learning Lab for designing and creating our magnificent Golden Owl! Schools and libraries all over California participate and vote in the CYRM each March. Click on the sidebar to see this year’s selections. The 4th / 5th Grade Book Club meets once a week at lunch with Mrs. Madden and Mrs. Armstrong. Book Club begins on September 28th and our first book selection will be Fish In A Tree by Lynda Mullally Hunt. A wonderful Home and School sponsored program that keeps our library stocked with fresh and exciting new books. Click on the sidebar for details and look for your BIRTHDAY BOOK CLUB flyer in your back to school packets. Mary Silveira classroom stars are celebrated in a display in the library. Please stop by and see this week’s shining stars. Parent Volunteers are always welcome in the library! Please let us know if you would like to help. We also need and appreciate parent volunteers to help with the Stellar Readers Celebrations in the spring.